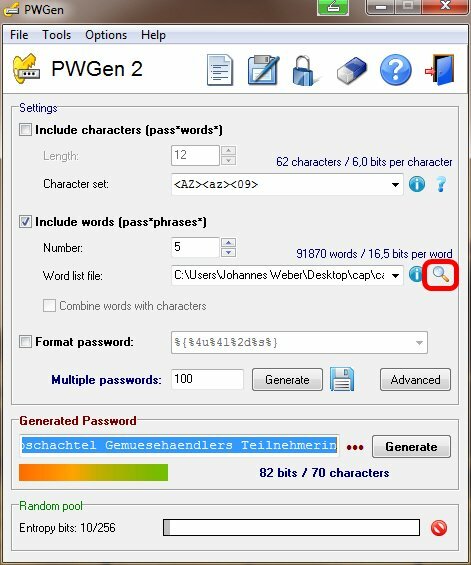 If you want to create random passphrases based on certain wordlists, a tool that generates these passphrases should be used rather than generating them yourself. Here comes an introduction to four different methods of creating such random passphrases. Finally, when clicking at the “Preview” window, the plugin generates a few passphrases which are shown directly. Even though it might be enticing to choose a passphrase that “looks good” it would decrease the entropy of the passphrase, too, since humans tend to choose an easy passphrase rather than a complicated one. That is: You should always use the first one! Another way to generate a passphrase is to use Diceware, i.e., take a few dice, play with them, notate the results and lookup the words for your passphrase in one of the diceware wordlists. The only thing to know is that the order of the dice should be always the same, e.g., from left to right. Well, that’s it. Quite simply. And anyone can be sure that the generation process was really random and not based on unknown computer algorithms. For those that are interested in math: Since there are possibilities per word of a passphrase, a 5-worded passphrase would have an entropy of , that is, 77 bits. 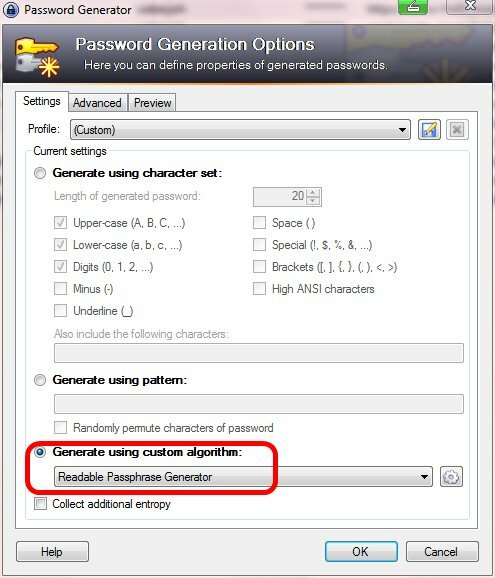 For a truly random seed, a random password generator could be used (what is of course pointless because an offline passphrase generator could be used directly). 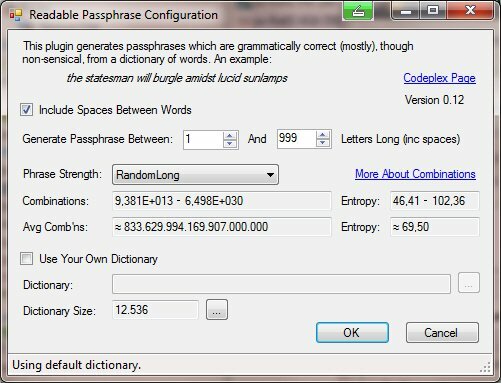 However, if an uncomplicated method for the generation of a passphrase is needed, this online tool is quite fast to use. There are quite a few ways to generate random passphrases. Though all methods are a little bit different they are all easy to use. Therefore the reader can decide himself which tool is most appropriate. If someone is interested in the entropy that passphrases can hold, especially when compared to passwords, I recommend my blog post about password strength. 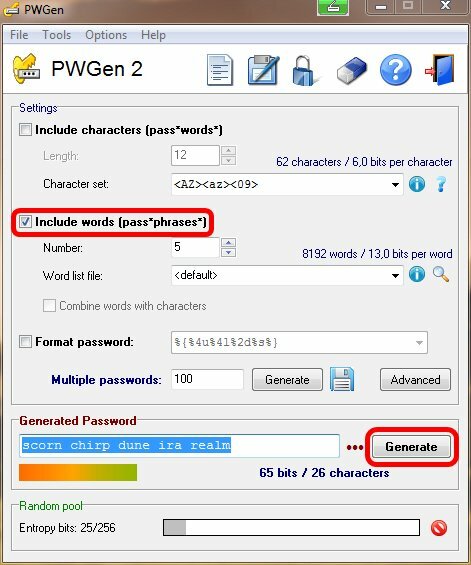 Generate memorable passphrases by juxtaposing common words with profanity. Vulgar Passphrase uses the Giphy api to create a memorable mnemonic.